In previous years, I’ve spent more time creating organization solutions but this year, I’ve been working more on fine-tuning what I already have in place. When you find a system that works for your home and family, it becomes a lot easier to maintain on an ongoing basis. 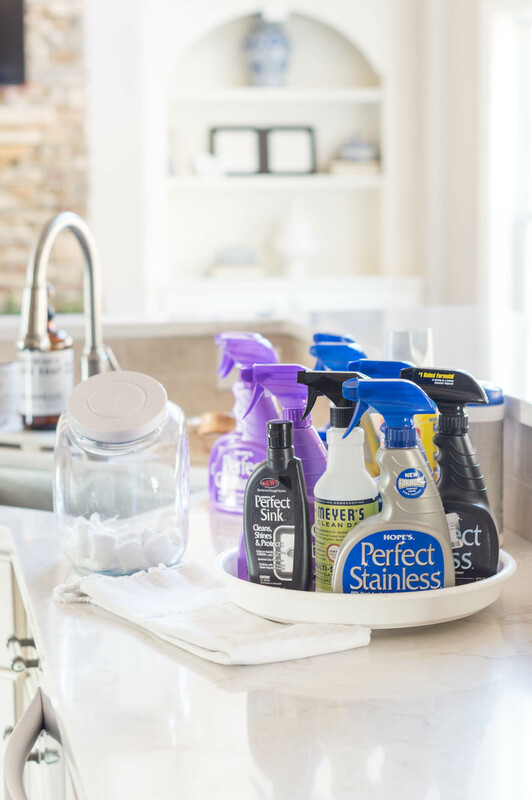 If you realize you’re constantly having to reorganize the same space, it may be time to take a look at switching things up to work a little more efficiently and in your favor. But, as much as we all crave clear new minds, tidy homes, and a fast-track in becoming our best selves come January 1, it’s imperative to start off on the right foot. I have to set myself up correctly before jumping into anything — that means 1. trashing easily identifiable clutter, and 2. bringing in a few things to help empower me to start the new year off in the best way. Basically, I like to start with zero reasons/excuses for not holding myself accountable. Even if you aren’t a “resolutions person”, it’s hard to to not acknowledge the feeling of wanting to make the most of the new life chapter you’ve been given. 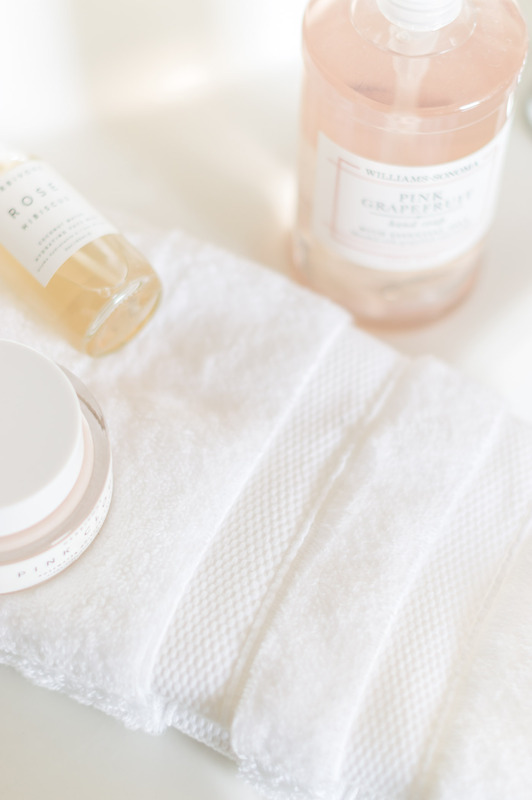 I’ve tried to steer away from resolutions and more toward objectives and positive habits and today, I’m sharing five things to purge and ten things to purchase to start the new year off right. If something has been bothering me, I don’t want it cluttering my mind once the new year hits. Even if I got through Christmas “making do”… even if I hobbled through the bulk of the previous year “making the most of it”, on January 1, I want everything to be restocked and replaced. It’s almost a pre-to-do-list of the to-do-list. It’s a chance to start with a full cup. Here are 10 easy items that make a big difference in starting the new year refreshed and ready. I don’t know how long we’ve had our down bed pillows but they’ve been past their prime for quite some time. As soon as they fell flat, I started adding in cheaper pillows to layer, hug, etc. Not only have they “grown lumps”, but they aren’t exactly the freshest things anymore, either ;). How much sub-par/worn bedding have you accumulated that you have yet to part with? I finally took the plunge and decided that 1. I would love to be able to toss the old, smelly pillows and 2. I’ve always preached that your bed is worth investing in — from your mattress to your sheets — and it was long overdue to find a new down pillow I loved just as much. The Home Depot carries bedding from The Company Store along with their “best down pillow” line (HERE). If you aren’t familiar, they have different levels of firmness, depending on your sleep position — soft for stomach sleepers, medium for back sleepers, firm and extra-firm for side sleepers, in standard, queen, and king sizes. A pillow is incredibly personal and important but because they were free shipping (all orders from The Home Depot are free at $45+) and they have stores scattered everywhere for easy returns, I didn’t think the risk was super high. I’ve been using a king firm pillow for a couple weeks now and it’s been wonderful – I’ve optimistically set my other old polyfill and down pillows to the side since the new one has eliminated the need for them. I may try an extra firm to measure the difference but the firm has still provided great, soft support. Check them out HERE if it’s on your list this year to make sleep a priority. 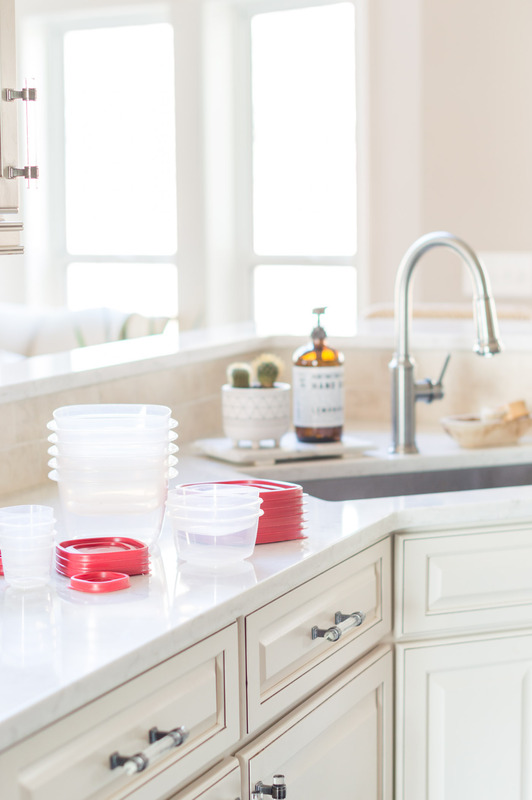 I can’t stand food storage that turns into a jumbled mess in your cabinet, making it impossible to locate the sizes you need and appropriate lids. The best way to battle this is to toss/donate the old and start with a fresh, uniform set. I love THIS set because they stack nicely, the lids interlock, and you get a 34 piece set for under $20. If something happens to a piece, it isn’t a big deal. If you have a goal of cooking more in 2019, make sure you have the arsenal you need to hold those leftovers so you aren’t wasting. When I finally made the decision to part with my old, mis-matched food storage and went with a uniform set, it freed up an entire second cabinet in the kitchen. It’s also largely responsible for Dave now taking lunches to work. I truly believe organizing your spaces exactly how you want them takes years. Once you implement a system, it takes time to determine if it actually works for you and your family (see my post on my favorite organization solutions, along with some that failed HERE). 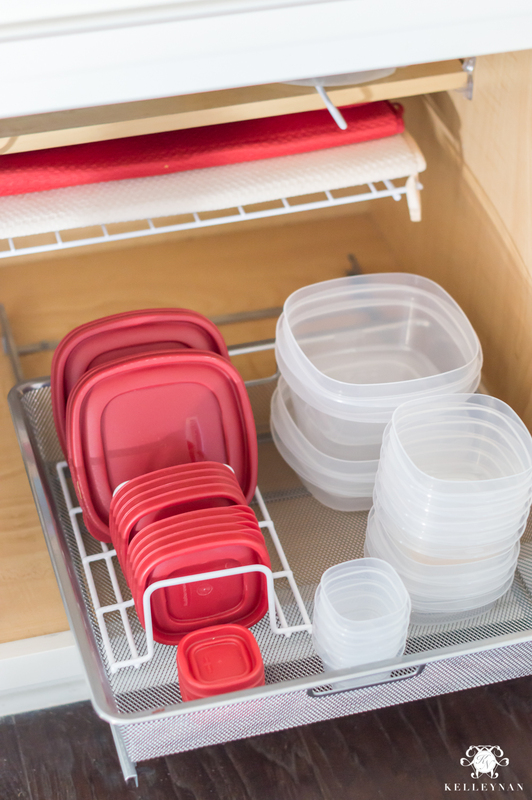 Identify a starting point — a pantry, shelf, single cabinet, or even a set of drawers — and equip yourself with the tools you need to do it correctly. 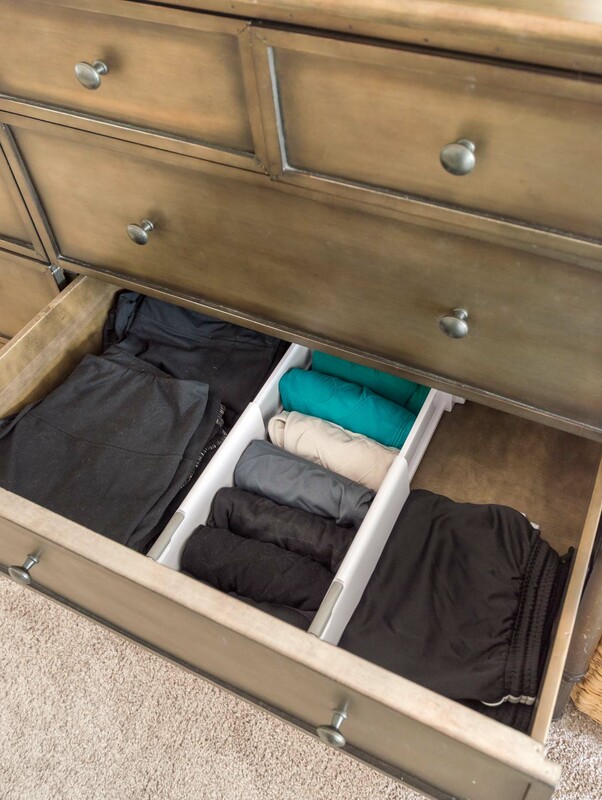 My favorite new organizing essential this year has been these expandable drawer dividers. 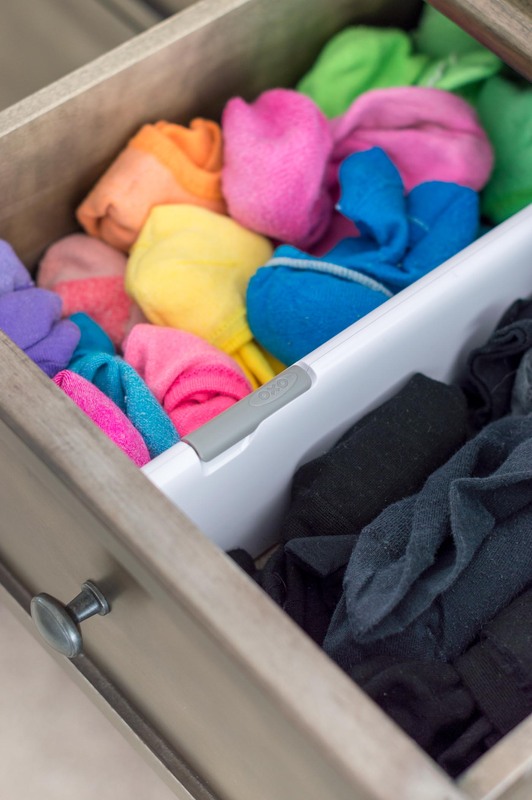 The dividers have made the biggest improvement in drawers like this where your intentions of combining similar items starts out well, but ultimately results in one big jumbled mess. Compartments are key. Using POP canisters is an investment but in our home, so worth it. It’s helped in terms of storage and efficiency, as well as cut down on waste. I have zero interest in containers with snaps, screw tops, and difficult lids — it has to be easy. 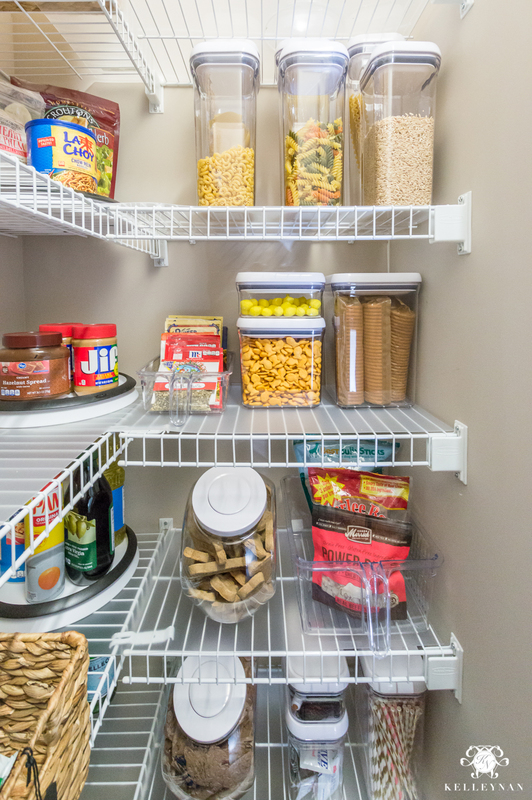 It’s what makes this system work in our pantry. If you don’t know which sizes you need, I recommend going with a variety pack (HERE) to get you started. You’ll see which sizes are best suited for what you use and can then order additional canisters separately. Don’t get to February and realize you haven’t replaced your 2018 agenda. I still go back to a paper planner every single time and find writing things down is critical to keeping organized and holding myself accountable. If you prefer electronic, that’s great but make sure you’re actually logging it all – from due dates and appointments to blocked off time for yourself. Occasional baths were something I started enjoying more in the past two years but halfway through 2018, found myself out of bath bombs/bubbles which resulted in the baths stopping altogether. 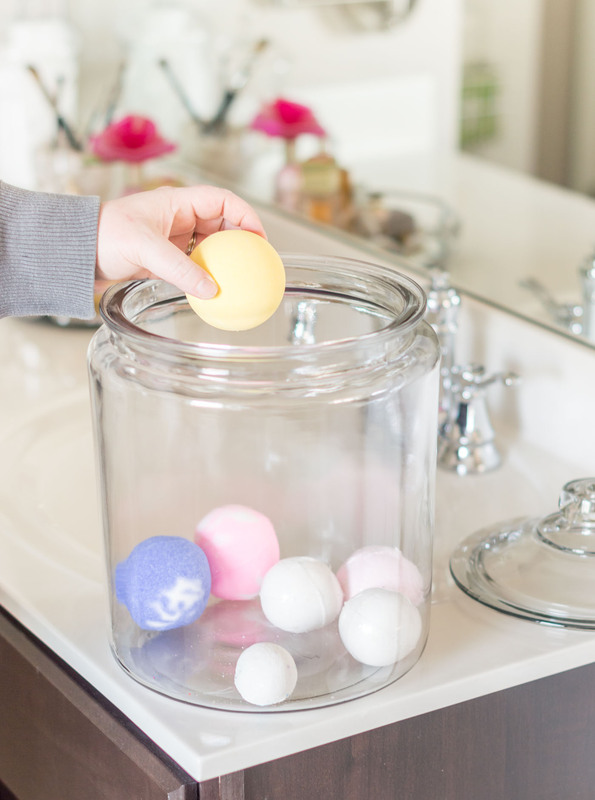 If there’s something you look forward to, from bath treats to your favorite coffee, go ahead and give yourself a little supply 😉 As you work toward that fresh new mindset, indulging in a few of your reasonable favorite things will help you feel renewed. PS: I have a few of THESE 2 gallon jars throughout the house; it’s especially convenient and effective for stashing toiletries in guest bathrooms. 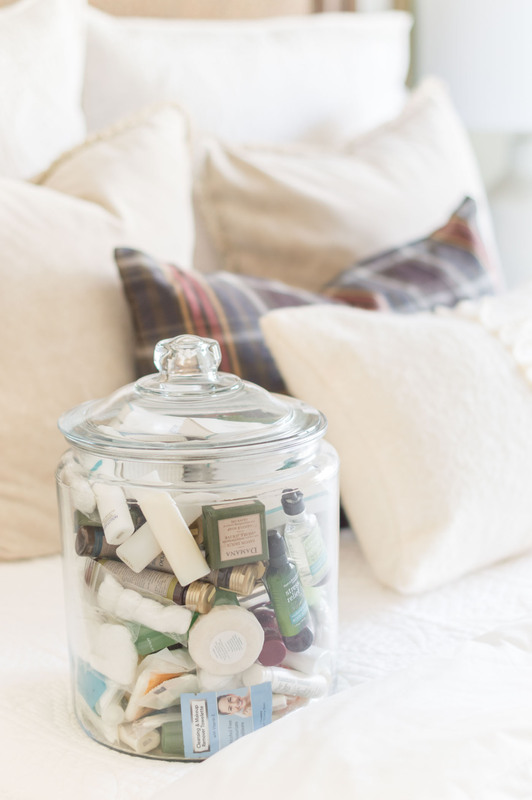 I literally don’t even have to think about that part of guest prep because whenever I come home from a trip, the hotel goodies go straight to the jars. They stay stocked. 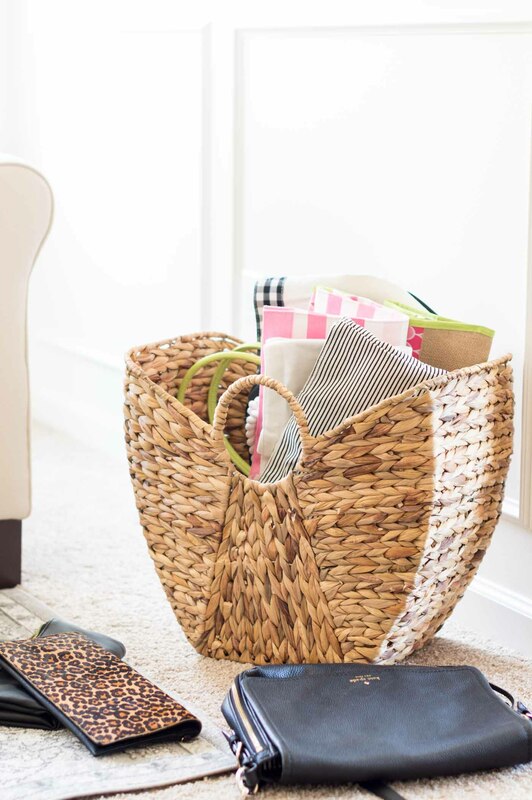 If you’re planning the big purge and clean-out, take inventory of what you have and need to get it all tackled. Nothing will get you out of the mood faster than realizing you’re ready to get started but are stuck with empty bottles/nozzles that don’t work. Now is the time to restock everything for the year. Did you have enough matching glasses to set a full table the last time you had company? If accidents over the holidays and summer barbecues have left you a little short handed and resorting to plastic cups from the ballpark, go ahead and invest in a matching set and toss the others. 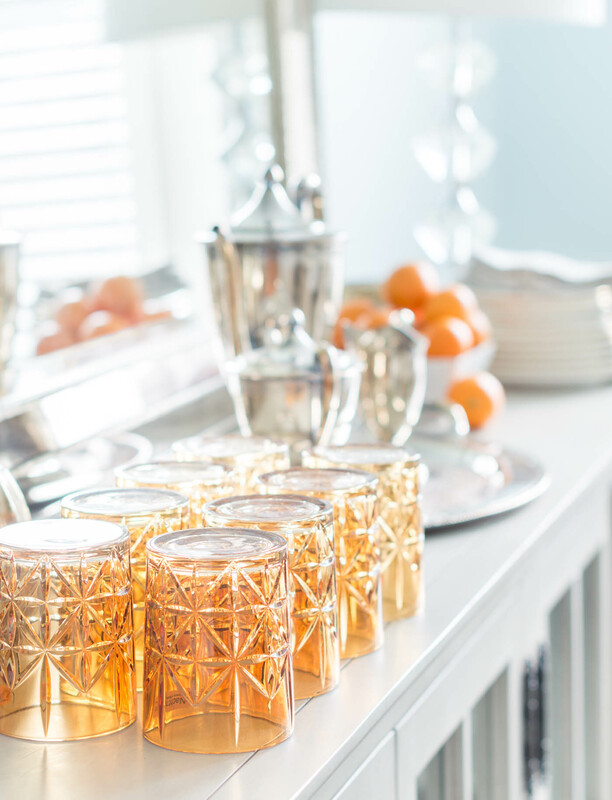 THESE etched tumblers come in a few colors but I love the amber hued glasses. Like the bedding, The Home Depot also carries bath linens from The Company Store. While I can maintain the whiteness in our main towels all day long, hand towels are a totally different story. Our powder room bath was especially in dire need of something a little nicer and less embarrassing than the grimy looking towels it’s collected. The new towels I picked up are more of an investment but the quality will save me from constantly replacing. And, they are seriously the most substantial, plushest things I’ve ever put my hands on. 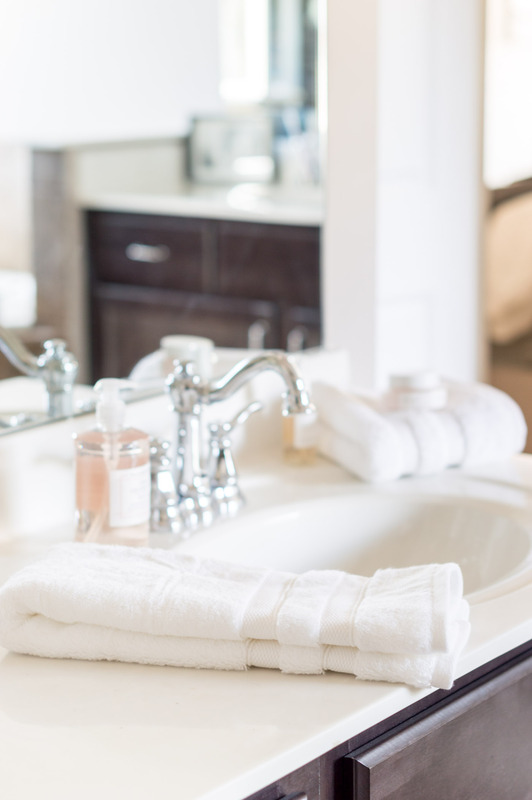 The entire line is available HERE and you can find the hand towels HERE (currently 20% off!). After all the Christmas decor has been put away and it’s basically brown outside, I crave a little more vibrance and life inside. 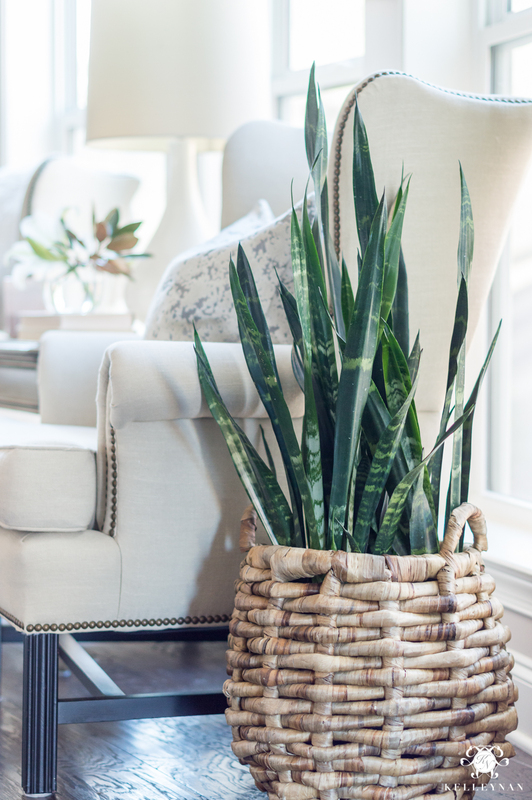 If you are shy about keeping houseplants alive, I have sung the praises of the snake plant (you can have it delivered HERE!) and I also have two of these rubber plants that are super easy to care for. 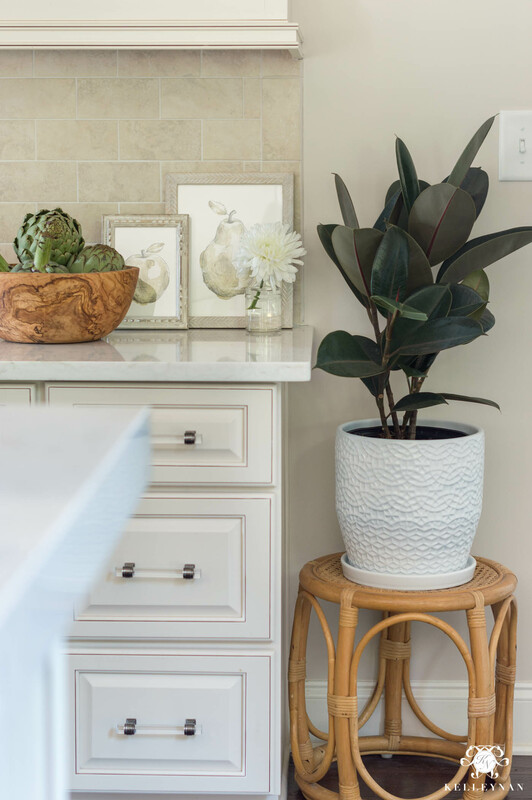 If you’re a little more adventurous, you can now also get live fiddle leaf figs delivered from the Home Depot HERE for under $24. You wouldn’t set out to run a half marathon without first investing in the proper tools — from running shoes to getting prepped with good tunes — and setting goals for the new year should be no different. Make sure you have what you need to empower yourself to follow through and be successful. Now, that doesn’t mean you have to go purchase and gym membership and all the exercise equipment, but I do think we all probably have a little room to justify investing in ourselves a little more. 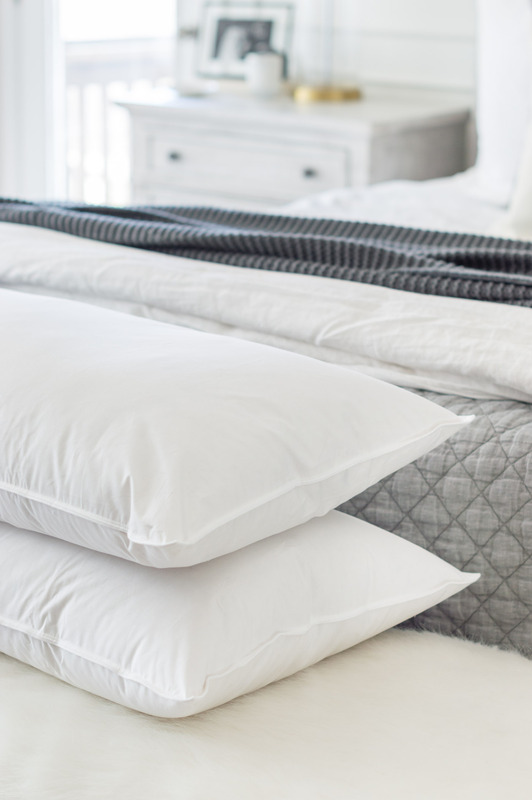 If you think new pillows will help you sleep better but feel guilty investing in yourself? Buy the pillows! If a new water bottle will help you drink more water, buy the bottle. When you’re on your quest to find order within your own home, it may take a while. Actually, it may be one, long, ongoing project. We had a dumpster delivered and a donation truck scheduled within the first week of January haha. That’s not what this is. This is a simple, quick-start list to get you going. Things that are easy to identify and will give you the motivation to keep going without getting too deep. While the results will make in impact in your day-to-day, these tasks could be accomplished likely in an afternoon. Have eyeshadow from the 10th grade (and you’re now 30)? Toss it. Blue eyeliner you thought you could pull of but tried it once? Consider it gone. 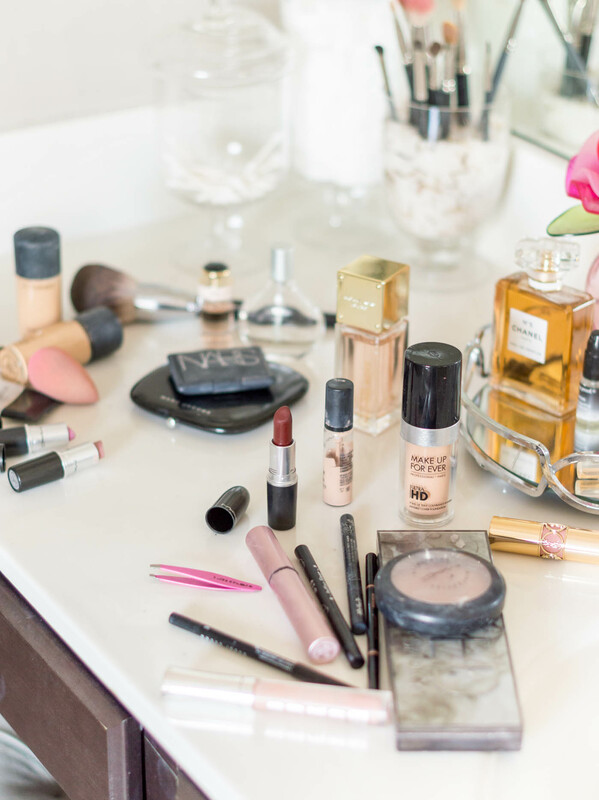 Pull out ALL of your makeup and get rid of things that aren’t being used or are dated; your morning routine will instantly improve! It’s hard to start eating well when you have visual food clutter. Get rid of those expired goods so you can start fresh with your meal planning. For you, it may be broken toys, for us, it’s dog toy scraps 😉 Admittedly, my pups do better with the scraps than the filled toys they destroy but once scraps become 10 pieces of scraps, it’s time to go. If you have a pile of papers that has grown so much, it’s hard to even get started, don’t worry — you don’t have to file just yet if you don’t want to. This is a quick purge ;). I bet you’ll cut your stack down by a fraction just by quickly going through and tossing expired coupons and things you wanted to hold on to *just in case* that have already passed. Even if you don’t file everything away, put your “keepers” in a separate stack to be filed/scanned/saved so your new additions don’t get thrown into the mix. Have you been conquering your home/life already this year? Or finding it hard to start? Once you make a few minor adjustments and take a few small steps, I bet you’ll be motivated to set your plan into motion and keep going 😉 For upcoming organization projects (and more!) subscribe to my emails at the bottom of this post. I think you must have been peaking into my home…because you hit on all the things we need to do. I love the drawer dividers…and the new drinking glasses….and yes… we need new white hand towels…( how do they get so yucky?) Thanks for such an informative post. Now..off to shop online. Mary, it’s those random little things that are so easy to replace but clutter my mind until I actually take action! Here’s to taking small steps to set us up with clear minds for the next few months! Love all your wonderful tips. I need those drawer dividers in my liiife ! I tried making some with cardboard once but it was a ghetto mess. 🤦‍♀️Definitely going to have to revisit this! Emily, I don’t know WHY I’ve never tried them. But, I am totally addicted now. Especially for the dresser drawers! Dawn, I am so glad! Happy New Year to you! I’d love to know how you find all these items on the Home Depot site. Home Depot site search hints would be a great post. When I go to homedepot.com and search hand towels, I don’t see what you posted. Hi, Beth! I have the most success navigating their menu and browsing but I found the hand towels a couple different ways. I searched specifically for “turkish towels” and also, under the Home Decor tab, they have “Featured Brands” and I love The Company Store. 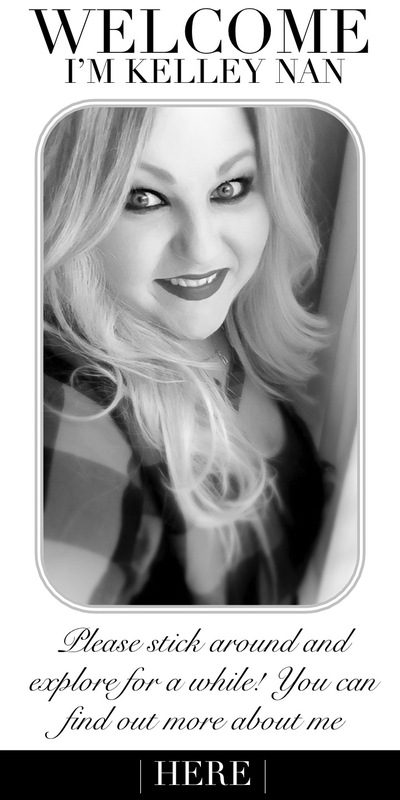 I so appreciate your feedback! These are all perfect tips! I love all of your great finds from Home Depot. Now if I can just get the courage to purge! Home Depot home decor items ridiculously overpriced! 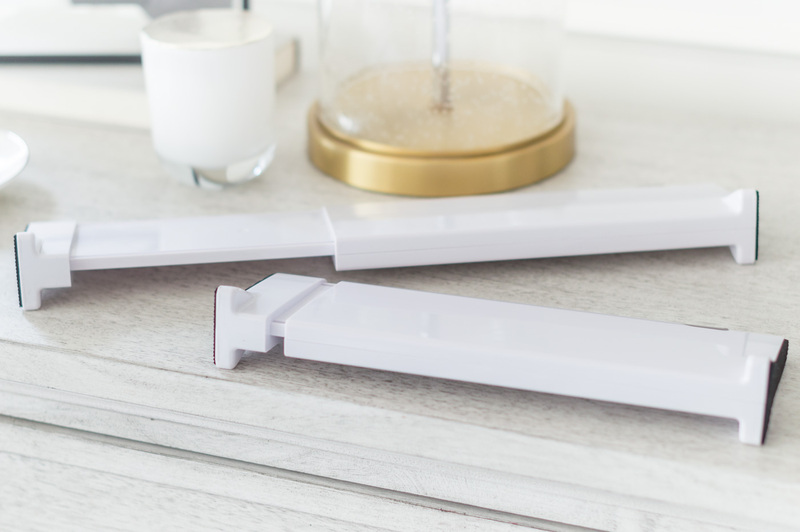 You’ve always been my go-to for decor and home organization at an affordable price- but not feeling these! I will still follow you- and will use HD for outdoor purchases but not decor! Live your purge tips! Monica, I love that! Thank you so much for sharing with us! Did I detect lemon heads that have a special container for themselves in your pantry? lol – my hubs would love this post for that alone. I need to purge and do everything you post says. Thanks for the inspiration! Love the drawer dividers and the other drawer organizers Home Depot has! I just finished cleaning my attic and organizing my Christmas stuff and feel so good now! 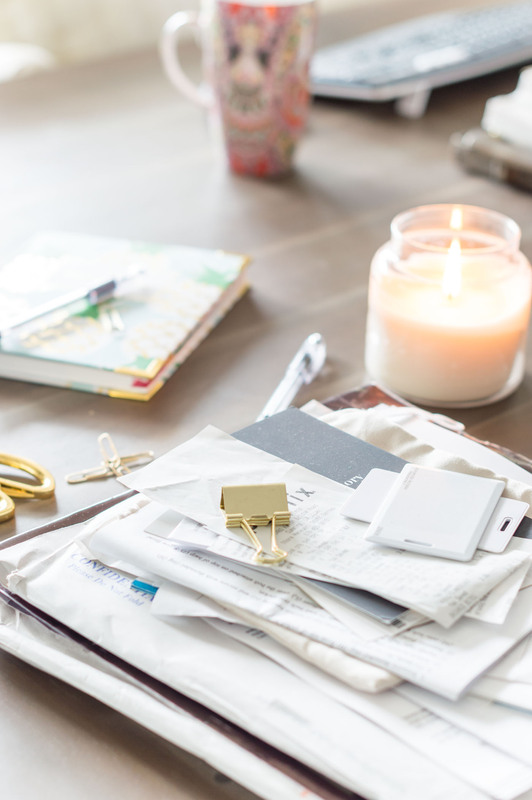 Organizing and cleaning is such a rewarding task (it feels like getting a new pocketbook!) 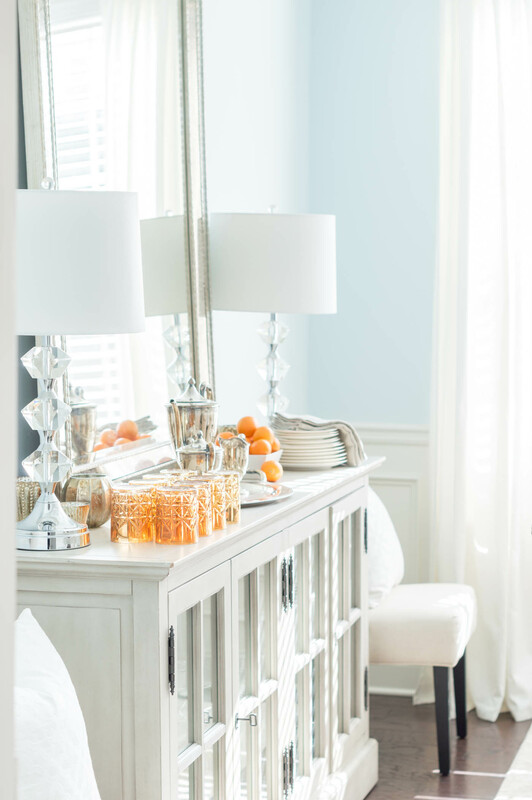 I am moving from room to room purging and organizing so these tips will be most useful. I want to mention that our Dog Rescue group appreciates old towels to use, in case anyone is interested in taking them somewhere besides Goodwill. I’m waiting to hear more news about the adoption and praying for you and Dave to become parents very soon! I didn’t realize, until a few days ago that Home Depot bought Home Decorators!! I guess I’ve been living under a rock! Thanks for the tips and I will be purging!